Contact lenses have revolutionised the way we see and have given visually impaired people a chance not to be restricted to wearing glasses. However, even with this added flexibility, you should still take care of your eyes as it can be difficult to reverse any damage that you do. Contact lenses generally aren’t treated with the respect they deserve by people, which leads to a casual attitude towards how they’re used. They need to be thought of as medical devices that are placed into your eye. 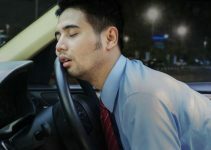 Sleeping in contacts should be avoided at all costs, but even the most experienced contact lens wearer can make a mistake and accidentally fall asleep in their contact lenses. We’ll highlight the main dangers of sleeping in contact lenses and the steps you can take to avoid them. Contact lenses work as mini lenses that are built to match your prescription, and once they make contact with the eye, they refract and focus the light so that objects appear more clearly. Due to the shape and size of contact lenses, they attach themselves to the tear fluid on the surface of your eye and move simultaneously. Why should you avoid sleeping in contact lenses? The majority of contact lenses are dailies which means they're not designed to be worn at night. If you sleep in these daily wear contacts, then this can lead to infections and other eye health problems which in some cases can be permanent damage. When contact lenses are in, they decrease the amount of oxygen that is supplied to the surface of your eye (cornea). Usually, the Cornea obtains oxygen from the air during the day and blood vessels in the eyelid throughout the night. As a result, if you wear contact lenses all day, then your eye is relying on the night time oxygen supply to keep your eyes at optimal health, so if you restrict this, then the damage can be substantial. The natural air contains a range of pollutants, and when you’re wearing contact lenses throughout the day, these pollutants can enter your eyes and underneath your lenses. So, if you wear these lenses to bed the combination of a closed eyelid providing protection, decreased eye and eyelid movement and reduced oxygen leads to the growth of bacteria and germs. Generally speaking, you need to look after your eyes and make sure you’re getting regular checkups and tests. Not only is it wrong to sleep in your contact lenses but if your prescription is too weak, then this can compound the problem. When you go for eye tests, you will also be informed of your general eye health and whether it's okay even to use contact lenses that are made to be slept in, as they’re not suitable for all people. There are contact lenses available that are approved to be slept in for specific periods and can be ideal for people who have a sporadic sleeping schedule which includes naps. 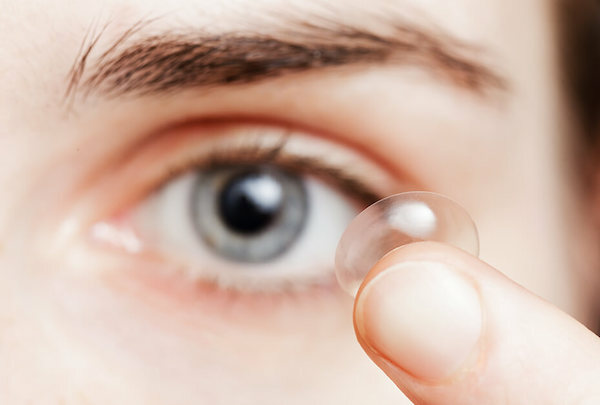 These contacts are often also referred to as extended wear lenses and are made from silicone hydrogel which is thinner than your average contact lens. The silicone hydrogel material works as a barrier that allows oxygen to flow more freely meaning that eye health is maintained. This doesn’t stop the risk of bacteria being trapped between the eye and lens, so you still need to remove them at regular intervals to clean them and to lubricate your eyes. Let’s be honest; mistakes can happen so if you do happen to fall asleep with contact lenses that aren’t designed to be slept in then you need to remove them as soon as possible. Ideally, you should give your eyes a rest for the following day, so you need to revert to glasses for the day. After sleeping in them for a full night, your eye may be slightly dry or irritated, so it's recommended that you use lubricating drops to ease the discomfort. If you have any pain or vision issues, then you need to visit your eye doctor as soon as possible. When you sleep with contact lenses in, this stop’s oxygen reaching and nourishing the Cornea. This can result in corneal neovascularisation which is an overgrowth of new blood vessels in the Cornea which leads to inflammation. If this inflammation develops enough, then your doctor may recommend that you never wear contact lenses again. Wearing contacts at night can irritate your eyelids leading to bumps developing. These bumps are also referred to as giant papillary conjunctivitis resulting in your lenses not fitting as comfortably. The most common problem with wearing contact lenses to sleep is Conjunctivitis which is a bacterial eye infection which is treated with antibiotic drops. While treating this infection, you won’t be able to wear contact lenses until the issue is resolved. Sleeping in your contacts can make your eyes more prone to microscopic tears developing on the Cornea which makes it easier for bacteria to enter your eye. Often referred to as CLARE, this has many different symptoms including pain, light sensitivity or a reddish cast. So next time you don’t feel like taking your contact lenses out at night and replacing them with your frames remember that waking up in the morning with red eyes is a much worse outcome. Wearing contact lenses too frequently can cause the Cornea to erupt resulting in an infection developing. Permanent vision loss is the most severe result which requires corneal transplant surgery as a solution. You may be tired late at night but sleeping with your contact lenses in will end up causing you pain and discomfort when it only takes a few seconds to remove them.